Ever drive down a street and see a beautifully painted house and garage, then notice a little shed in the backyard that is painted a different color, but it all looks great anyway? Is there some kind of rule that says every building on a property has to be the same colors? The Templeton house painter, Borlodan Painting encourages people to spend time discussing both paint color and quality before starting. Other than some homeowner association restrictions that might be specified in Covenants, Conditions, and Restrictions (CC&Rs), there are usually few restrictions against painting your house, garage, workshop and she shed any colors you want. Of course, it is necessary to keep peace in the neighborhood, so a bright purple garage with yellow trim may not be a good choice, no matter how much you love those colors The first consideration for any paint job, exterior or interior, is the quality of the paint. A new coat of paint is a major investment, providing both beauty and protection for years to come. The Templeton house painter can help choose the best quality paint and choose colors, too. The paint has to stand up to local weather and temperature changes without cracking and peeling. 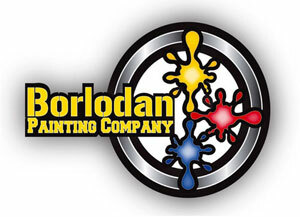 The experts at Borlodan make sure to use the right paint for the right job. The key to using color is to use complementary colors, different colors that go well together and bring out the best tones in each color. Neutral colors are the best for resale. Even though you may not plan on selling your home for years, if you do decide to do so, repainting may not be an expense you want at that time. Neutral doesn’t have to mean boring, and you can still have your favorite colors by adding a pop of color to doors and other trim. Trending house colors include yellows, greens, grays and blues, various shades of white from pure white to shades of off-white, including tans to browns. To stay in the same color scheme and still have a different appearance between buildings, consider swapping the wall colors with the trim colors. For instance, paint the house slate blue with a complimentary shade of off-white trim then reverse the colors for the garage. Back to purple. If you insist on adding purple or some other intense color like a dark blue, to the color scheme, it can still happen with some imagination. Painting less visible sections of window and door trim with a brighter color that compliments the other colors can create a signature image that is all yours. A basic guideline is that what visitors see from the street or road is a reflection of your style. The variations of the color scheme you choose are also a reflection of your style, even the bolder colors you might choose for the she-shed or backyard office. 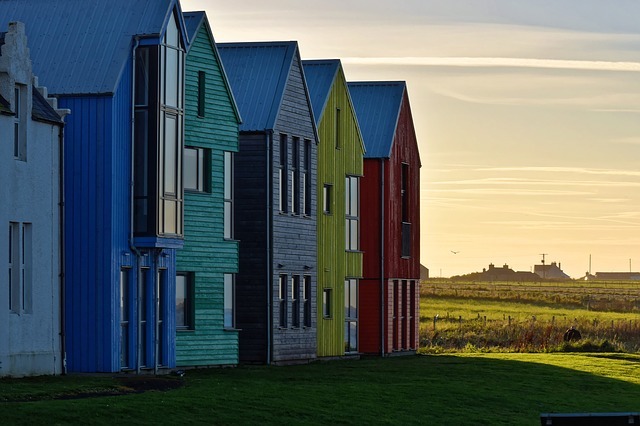 Choosing color schemes for buildings on your property might seem an overwhelming task, but with the advice an assistance of Borlodan Painting, in the end, you will be happy you took the time. The professionals at Borlodan know which brands of paint stand up best to the local weather. The fine, detailed work on doors, windows, and other trim will add the detailed touch that makes your home a unique signature of yourself. Give them a call today to get your painting project started.